Somebody paid somebody a lot of money but it will get them some free media coverage and that is the game now. 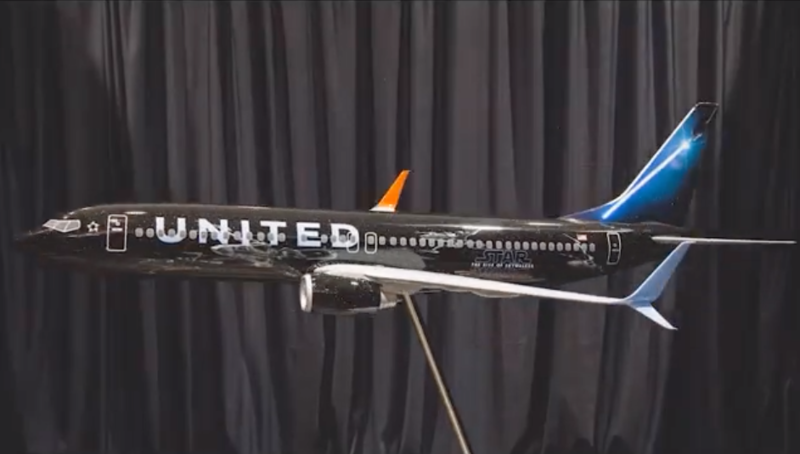 You won't be seeing the 737 MAX in that livery anytime soon with all the software problems. 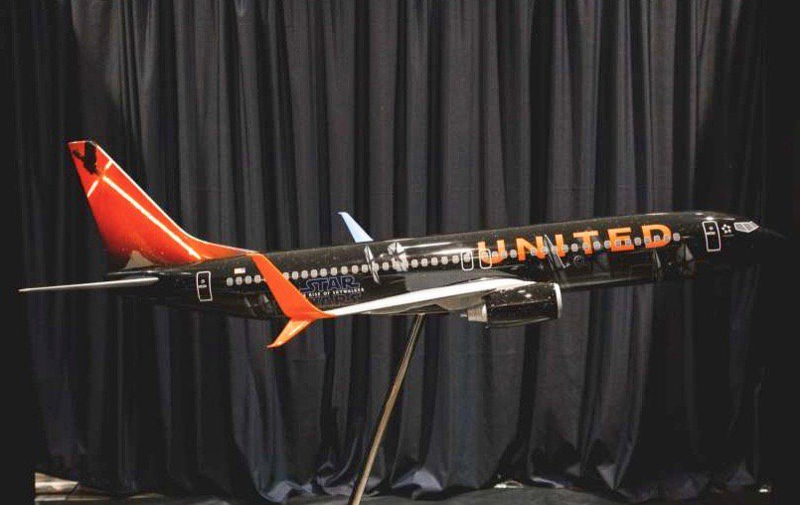 True, I assume that's why the model displayed is a 737-800. I like it very striking. Hmmm. Personally, I think Alec Guinness made that line famous - his likeness should be on on the aircraft. Then again, talk like a pirate day is Sept 19th. Wonder what airline could pick up the 'Pirates of the Caribbean' motif? Heck, we have Shamu flying all over he US and Norwegian has Sonja Henie on the tail of one AC. Why stop now? Star Wars Day is thing??? I am too young to remember such things from the 1970s. Star Wars Day is a thing??? It is.You really have to get out more..
Then you'll be blithely unaware of March 14 too. A friend of mine told me about 'Towel Day' to do with Hitchikers Guide but I don't know when it is. It is. You really have to get out more..
You miserable little pax, how dare you! I cannot get out more as I have to be watching the cabin all day AND all night. Take 500 lines, "I must respect the Moderator" and have it ready before the end of this sector. After we land, you will clean the cabin from front to back, using your toothbrush (ah those fabulous days in the Army) and then you serve a three course meal for all the moderators,who are relaxing in First Class. Which is where I'm going now, but the CCTV is ON. View Next Unread Why are we told the pilots' names?